Host nation, No. 24 Pakistan, is the defending champion of West Asia, winning the 11th BFA West Asia Cup in 2013 – an event that is held every two years. Other participating nations include No. 35 Afghanistan, No. 49 Iran, and unranked India and Iraq. 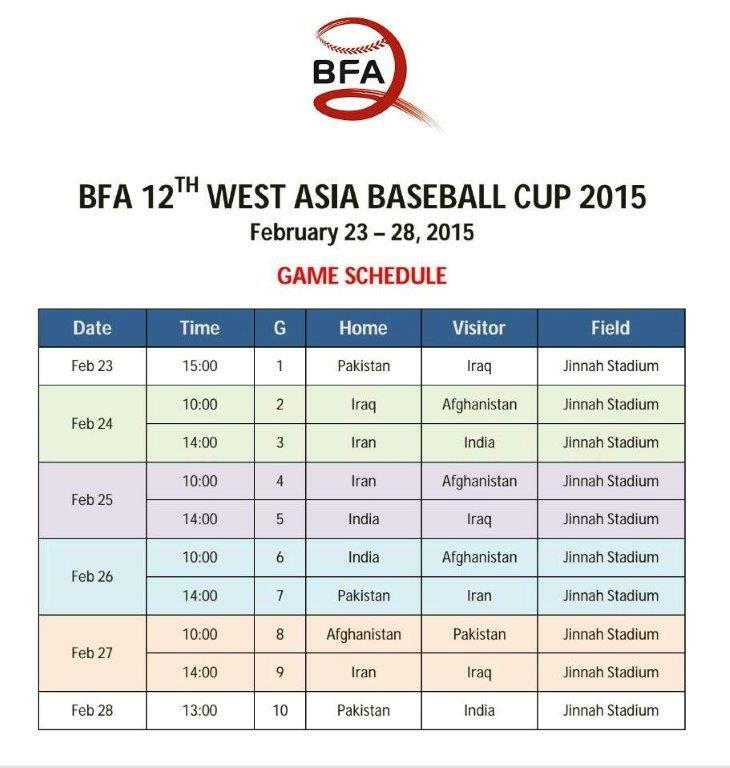 The five-nation West Asia baseball showcase is being hosted by the Pakistan Baseball Federation in conjunction with the BFA – the World Baseball Softball Confederation’s baseball arm in Asia.